At Locksmith Burbank, no job is too tough for us to handle! Do you want to finally relax knowing the locks on your home are protecting you and your loved ones? Did you lose your chipped car key? Are you locked out of your home, vehicle or business? Don’t waste any more time! Contact Locksmith Burbank and we’ll get right to work! Our competitive rates will blow you away, working with any budget. We provide a comprehensive menu of locksmith solutions for vehicles, homes, and businesses. Accidentally locked yourself out of your car? Don’t smash the window! Our certified technicians use specially made lock picking tools to safely pry open any door. No mess, no glass, no problem! Throughout the procedure, no damage is ever caused to your vehicle. Our tools include tension wrenches and slim jim devices to gain access quickly and efficiently. We also specialize in damaged vehicle door locks or trunk locks on the spot. All our techniques at Locksmith Burbank are designed to get you back on the road in no time at all! 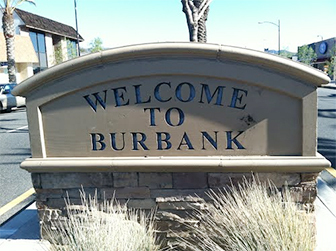 Locksmith Burbank provides commercial services, and offers the entire security product for all types of business. As part of its Security Solutions, Locksmith Burbank offers CCTV, access control and intercom systems, which are individually tailored to the customer’s needs. All these locksmith services are provided by expert technicians, who can also repair/upgrade your existing system. Please contact Locksmith Burbank and let us worry about your security needs.